Cute looking, round-raced Beryl McCutcheon got into acting by mistake, and – like most girls who never had a theatrical background and thought that their looks were enough to pull them trough – never left the uncredited roster. To her credit (haha, pun intended! ), she was persistent and made two come backs – too bad it didn’t work out well enough to warrant a solid career. Let’s learn more about her. Beryl McCutcheon was born in 1925, in Little Rock, Arkansas, to James McCutcheon and Robbie Day. Her father, who worked as a building painter, was originally from Wisconsin. In the late 1900s, He moved to Louisiana where he met Beryl’s mother, married her, and started a family. For business purposes, the couple moved to Canada – their daughter Ione was born there in 1915. By 1920, they were back in the States. Two children were born in Louisiana: a son, David, in 1923, and a daughter, Lois, in 1924. They then moved to Little Rock where Beryl was born. Her family moved to Los Angeles, California, just a few short months after Beryl’s birth. 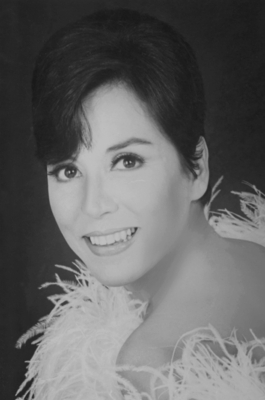 Her younger sister, Joanne Patricia, was born there on August 5, 1931. Beryl grew up in Los Angeles and attended high school there. She had no big dreams of becoming an actress – but fate had other plans for her. The year was 1943 and war was raging all over the world. Beryl had just graduated from high school. Her older brother David worked as a messenger boy at MGM. Unfortunately, messenger boy jobs were soon vacated by war – david, like many others, was called to fight. When messenger boys became scarce, MGM producers naturally replaced them with girls. Thus, Beryl took the David’s place when he joined the U. S. Coast Guard. She wasn’t on the job long before famous hoofer Gene Kelly noticed her and recognized major potential in her – MGM tested her, she passed the screen test and ultimately won a contract. So, Beryl’s adventure started. Beryl made her debut in a variety musical, Broadway Rhythm. No story, no depth, no acting, just singing and dancing. IMHO, meh. Beryl marched on. Due to her slight age, she was then cast as a Co-ed in Bathing Beauty, a insanely popular Esther Williams picture with a thin plot but plenty of swimming, eye candy and comedy. They don’t make them like this anymore! For the rest of her MGM tenure, Beryl mixed drama with musical movies, perfectly illustrating what MGM was all about in the 1940s and 1950s. She was in Marriage Is a Private Affair, a lukewarm Lana Turner vehicle – the movie made sense during the war, when women married servicemen on a whim and were hard to accommodate to a completely new, austere way of life, but seen today, it’s a feeble drama. Lana is not dramatic talent to be sure, but she had the sass and the elegance ot make her a star – and she was very pretty when she was young (unfortunately, she didn’t age too well). Much better was Beryl’s next movie, Thirty Seconds Over Tokyo, a superb example of what a war movie should look like. It has everything – good actors, a sturdy plot, and a positive message to boost your moral. Beryl’s next movie, The Clock, was equally as good – just on a different level. 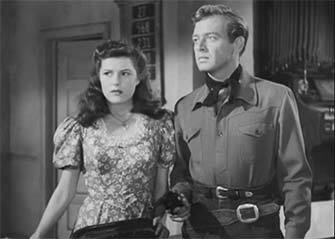 It was a more intimate war movie – about two people who meet just before one is to be shipped overseas to fight- with a powerful emotional momentum and two unlikely but perfectly cast stars – Robert Walker (whom I always remember as the psycho from Stranger in Train – I know, not fair to this talented actor, but he was tops in the role) and Judy Garland, in one of her rare non-musical roles. Beryl was back to fluffier, easier fare with Thrill of a Romance, another Escther Williams musical. If you like water extravaganzas, this is for you! Next came The Hoodlum Saint, an unusual try to make another Thin Man – the plot is about a newspaper reporter who tires to go back to normal life after WW1. However, it doesn’t quite click. The male lead is the same William Powell, but it’s 20+ years later and his Nora is not Myrna Loy but rather Esther Williams, who was 30 years younger than William. Not a good pairing at any rate. However, the movie has some saving graces – the supporting cast is wonderful (Angela Lansbury, Lewis Stone, Rags Ragland, Slim Summerville) and the overall feeling of the movie is solid. 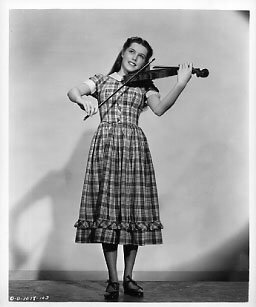 Beryl was back in the musical saddle with the classic, Till the Clouds Roll By. Afterwards, she left movies to get married, but that was not the end. Beryl returned to movies after a 7 year hiatus in 1953. 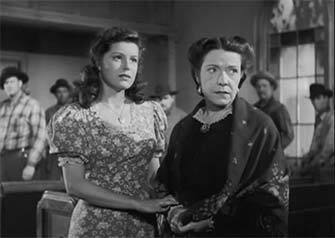 She then appeared in Glory Alley, a muddled mess of a movie about a crooked boxer and his trials and retribution. it’s the kind of movie that tries to be everything at the same time – a serious drama, a breezy comedy and a simple sports film. Like most tries at mix and matching genres, it fails miserably. We actually have great actors in it – Ralph Meeker, the best Mike Hammer IMHO, and the alluringly gamine Leslie Caron, and a top director – Raoul Walsh – but it just doesn’t work. It seems like everybody is lost and has no idea what there doing – only the flimsy script keeps that on track. Then came Dream Wife – I love this movie despite the pretty abysmal reviews. I watched it twice and it was nice, easy and funny – exactly what a movie of that caliber should be. It ain’t a masterpiece but who’s asking for it anyway? Cary Grant plays himself and Deborah Kerr plays herself – and they are pretty good at it. And Betta St. John is gorgeous beyond words! Just simply watch it! Beryl had the fortunate opportunity to appear in How to Marry a Millionaire, a beloved classic that needs no introduction. Ah, those candy-sweet, Technicolor movies, gotta love them! Betty took another breather, and made only one more movie 3 years later – Ransom!, a superb thrilled where Glenn Ford and Donna Reed play parents of a boy who has been kidnapped and held for ransom. It’s a tight, well plotted movie without a minute to lose – and very emotionally intense. Both leads are great in their roles. Watch! After some minor TV work Beryl retired from acting for good. Beryl married her first husband, Robert Joseph Kindelon, on October 24, 1946. Robert Joseph Kindelon was born on July 26, 1919, to Joseph Kindelon and Mary Ellis. His father was an oil well supply salesman. He was the oldest of three boys (other two were Ellis and Richard). Robert was movie struck from early childhood, working as a movie usher and attending college ta the same time. After graduating, he found work on the MGM lot as a casting clerk. There he met Beryl, and the rest is history! The couple had two sons: Patrick Joseph, born on August 26, 1947, and James Ellis, born on December 23, 1949. The family lived in Los Angeles, where Robert was in the casting business – he left MGM at some point and opened his own casting agency, Independent Casting of Hollywood. He merged with several other smaller casting agencies, like Artist Casting over the years. Robert’s brother Richard also became a succesful casting director and moved to Hawaii where he worked on Hawaii 5-0. The Kindelons divorced in the mid 1950s. Robert remarried in 1960 and died on February 22, 1981 in California. I could not trace Beryl’s fate afterwards with a 100% accuracy, but it seems she didn’t remarry, that she lived in Culver City at some point and died in Ventura County, California, in 2014. Dorinda Clifton started her movie careeer in a big – playing a leading role, receiving loads of publicity and critical plaudits. However, even with this powerful platform, she failed to gather any real attention. Afterwards, she valiantly tried to revive her career for more than 5 years, but after getting less and less attention, gave up movies to raise a family and later, become a writer. Dorinda Clifton was born on April 27, 1928, in Los Angeles, California, to Elmer Clifton and Helen Kiely. Her older sister, Patricia, was born in 1925 somewhere at sea (I wonder where!). Her younger brother, Elmer Jr, was born on April 20, 1932. He acted on the stage from 1907 and worked with D.W. Griffith in various capacities between 1913 and 1922, including appearances in The Birth of a Nation (1915) and Intolerance: Love’s Struggle Throughout the Ages (1916). He became a director in 1917, with his best-known production probably being the big-budget whaling epic Down to the Sea in Ships (1922), which brought Clara Bow to the attention of audiences. Unfortunately, his career began to wane in the late 1920s; although he occasionally worked for such “major” studios as Columbia or RKO, he spent most of the rest of his career mired in the depths of Poverty Row, writing and/or directing low-budget westerns and thrillers for such low-rent studios as PRC and even lower-budget exploitation pictures for such quickie producers as J.D. Kendis and the Weiss Brothers. Columbia’s new 17 – year – old discovery, Dorinda Clifton, is starting her screen career on the exact spot where her father worked 30 years ago. The location is Columbia’s branch studio on Sunset boulevard at Lyman place, where Dorinda is playing the title role in the new movie version of Gene Stratton Porter’s “Girl of the Limberlost.” In 1915, Dorinda’s father, Elmer Clifton, was a young leading man in D. W. Griffith’s “Birth of a Nation,” which was made on outdoor stages at precisely the same place. And thus her career started. 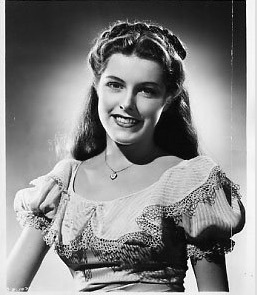 Dorinda appeared in only one movie for Columbia, The Girl of the Limberlost. Based on the classic novel by Indiana authoress Gene Stratton-Porter, it’s raw, brutal and unpleasant, about a girl whose own mother hates her, but despite the sombre plot, the movie never goes over the line into truly hard stuff, as this is still Hollywood, no matter the story, they always make it a cut or two above depressed. Dorinda played the lead, and great things were expected from her. Unfortunately, the movie failed to gather much interest among the public despite genereally warm reviews -as a result, it’s barely remembered today, and Dorinda’s career tanked. However, she chose to march on. She lost her Columbia contract, but signed with a poverty row studio. So, her next movie, was The Marauders. What can I say, low-budget westerns yet again! This is an above average Hopalong Cassidy movie, but it’s still a low-budget western so no bueno as far as I’m concerned. Dorinda won a contract with MGM, hoping to obtain stardom thru a different path. MGM put her in a string of different genres, and she started her MGM years in two pretty famous musicals – On the Town and Annie Get Your Gun. She than branched into thrillers with Shadow on the Wall, an interesting movie which gave Ann Sothern chance to play drama – and that didn’t happen often, mind you. Strong support is given by the ever suave Zachary Scott and Gigi Perreau. Dorinda went back to musicals, and appeared in a string of them – Hit Parade of 1951, Grounds for Marriage (a Kathryn Grayson/Van Johnson vechicle), Call Me Mister (this time a Betty Grable/Dan Dailey movie) and Excuse My Dust. Then it was back t more serious movie fare with Slaughter Trail. Serious only in name – it’s another western, not quite a slow budget as Hopalong Casid but not a whole lot more. It does have a more impressive cast (Brian Donlevy, Virginia Grey), but it’s still the same old Cowboys vs Indians. The last batch of movies Dorinda made under her MGM contract were excellent musicals – The Belle of New York (the weakest of the bunch, but still a good enough musical with Fred Astaire), Singin’ in the Rain (what more do I need to say? ), Million Dollar Mermaid (one of Escther William’s best), Stars and Stripes Forever (worth seeing for Clifton Webb if nothing else) and The Band Wagon (the best Cyd Charisse and Fred Astaire pairing). Dorinda’s last two movies were adventures: The Golden Blade, a mid tier Arabian adventure type, with Rock Hudson and Piper Laurie, and Moonfleet, a beguiling mix of swashbuckling movie and Gothic horror. The male lead is Stewart Granger, truly a fitting replacament for the aging Errol Flynn, and the rest of the cast is equally good – George Sanders, Joan Greenwood, Viveca Lindfors. After her MGM contract ended, Dorinda gave up on movies to devote herself to family life. For a time in 1949, Forinda was slated to marry Anson Bond, a “quickie” producer, when his divorce from Maxine Violet Nash was made final. Bond was a business partner of her father, and it seemed to me the scenario of “marrying the boss’ daughter” more than a love match. However, fate intervened – Dorinda’s father died in 1949, and she broke up the engagement not long after. met her first husband, William K. Nelson, when served as Youth Director for the Congregational Church in Hollywood. They married in 1951. Ace was a graduate of Hollywood High School and Occidental College. He got his nickname when he was playing guard on a never-defeated Hollywood High School basketball team. At the final bell he flung the ball from beyond mid-court and scored the winning basket. The next day, the papers reported Bill “Ace” Nelson’s amazing shot. The nickname followed him to college and onward. While still at Occidental, Ace joined the Navy’s officers training corps, and after Pearl Harbor was sent to Columbia University to be trained as a “90-day wonder” Naval officer. He commanded an LST for three years in the Pacific during World War II. His was the flagship of his 60-ship convoy. The couple had three sons: Alec, born on August 22, 1953, Mark, born on October 29, 1953, and David, born on May 21, 1959. The family lived in Corona Del Mar, California. Dorinda gave up her career by that time and was a devoted mother and wife. The Nelsons divorced in 1967, and William remarried to Joni, and moved to Oregon. He died in 2008. Dorinda married her second husband, Anthony Lee Gorsline, on July 5, 1970. Gorsline was born on May 4, 1930, in California. He was married once before, to Stephanie Lorna Herrmann, in 1953, and they divorced sometime in the 1960s. The couple moved to Brownsville, Oregon. Unfortunately, they divorced in 1976. Dorinda continued to live in Oregon and never remarried. Gorsline also stayed in the same city. She finally published her memoir, Woman In The Water: A Memoir Of Growing Up In Hollywoodland (check it up on the Amazon link), in 2005. The book was warly recieved and she continued writing, mostly childen’s books. Some of her works are: Take the cake, Everybody is somebody and Ginger Bird. She retired from writing in 2007. Dorinda Clifton died on February 18, 2009, in Brownsville, Oregon. 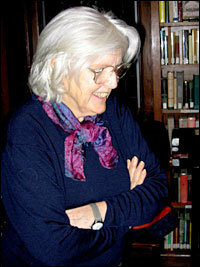 Her former husband, Anthony Gorsline, died just few months later, on June 17, 2009. Ursula Comantadore was born on September 11, 1929, in Jersey City, New Jersey, to Joseph Comendatore and Frances Caiezza. Her younger sister Dolores was born sometime after 1940. Her father worked first as a fruit and fish salesman – he had his own stall, and her mother was a factory worker in the early 1930s. 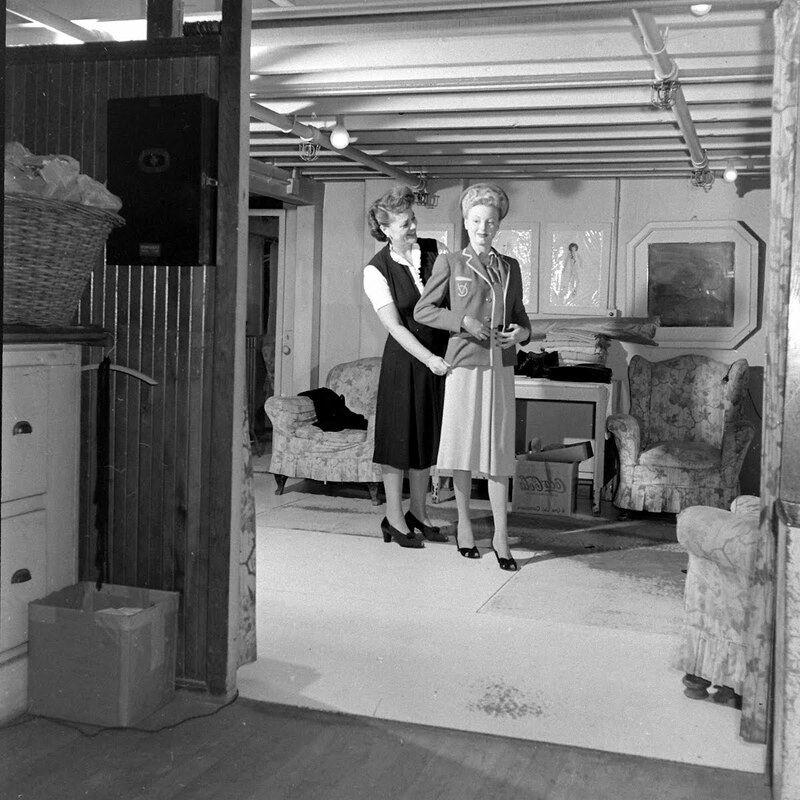 Later on her father worked at the shipyards – her mother became a housewife. Jana Mason, the canary with the fabulous figure (at Basin Street), is making a fast climb up the success ladder. In the same hour the past week, she signed to do two Bing Crosby shows and put her signature on a Decca contract. She’s been singing professionally for only 14 months. She was already a seasoned performer with hundreds of concerts and appearances under her belt, and sang for more than the 14 months like the article claims. Thus she easily landed in Hollywood in 1955. Jana’s first movie appearance was in Women’s Prison, a low-budget women’s prison movie (boy, the name does say it all!). but, that’s not the reason to watch this little “trashy gem” – rather, it is a great women’s cast – Ida Lupino, Jan Sterling, Cleo Moore, Audrey Totter and Phyllis Thaxter. Despite it’s overly dramatic story and obvious flaws, it’s entertaining and ultimately satisfying. Just beware, this ain’t Shakespeare! Jana’s next feature, 5 Against the House, one of the 1950s caper movies (let’s rob a casino!) that Rat Pack excelled it. No Rat Pack here, but he have some interesting substitutes – Guy Madison, Brian Keith, Alvy Moore, Kerwin Mathews. Let’s be clear, all of them were pretty boys that never won Oscars, but they are more than tolerable here, and Keith is still a notch above the median, and stands up as the best fo the lot. What this movie does right is the psychological profile of the caperers – they are all different people with their own “demons and angels”. Another plus is a very young Kim Novak – as soon as she enters the screen, it’s clear there is something about Miss Novak that would make her a star a few short years later. Jana was then featured in My Sister Eileen, the second adaptation of the well-known book. Unfortunately, it’s a lesser movie than the first adaptation (with the wonderful Roz Russell), but it’s still a breezy, happy-go-lucky movie, a true Hollywood delight for taking the blues away. Jana’s last movie was The Wild Party. It there is one word that can descrive the movie, it’s sleazy. We have Anthony Quinn, playing an over-the-hill football star that holds a thrill-seeking wealthy couple captive. The movie was supposed to be a social commentary on the rich vs. the poor, but dilutes into a semi-exploatation movie with intense sexual innuendo and some pretty lurid scenes (for the 1950s). High art it ain’t, but it’s not a complete waste either. The social message, while it does get lost in the sleaziness most of the time, comes across to some degree, the cinematography is almost noir-like (always a plus in my book! ), and Anthony Quinn, oh my! The man was a charismatic powerhouse and did most of his roles justice, and the movie would hardly work with a lesser actor in the leading role of the deranged football player. His supporting cast is less than stellar, but sturdy enough to make it work (Carol Ohmart, Kathryn Grant and so on). Jana did some TV work on the side, but retired from movies after her marriage for good. Little is known about Jana’s early life. We know she had a cat that the press dubbed “the real cool cat”. It slept on the air conditioner. Funny. Jana married her first husband, David Victorson, on December 28, 1953, in Los Angeles. Both of them worked in Las Vegas, just in different nightclubs. David was born on June 23, 1916, to Louis Victorson and Hanna Smith. He was married once before, to Jean Victorson, whom he divorced in 1937. He and Jana met in New York and moved to Las Vegas to further their careers (but in reality to primarily further her career). Their marriage was not long-lived. 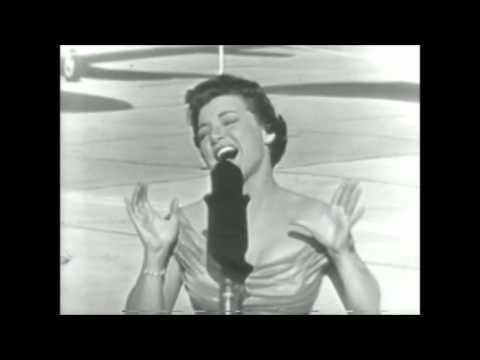 In 1955, Jana got involved with a man who would completely change her life – Jackie Barnett, the songwriter for Jimmy Durante. if the name rings a bell to you, I’ll just say it should – Barnett dated a string of Hollywood beauties in the 1940s and 1950s, and was even engaged to several starlets I profiled here on the blog. He sure had a rich social life! Madly in love with Barnett, Jana and David divorced in 1956 in Las Vegas, Nevada. Victorson married Angela Velasquez in 1961 and died in 1973 in New Yersey. Jana didn’t stick just to Kimberly – she also dated disk jockey Bill Williams. However, by early 1957, Jackie and Jana were back in each other good graces and in April there was talk that Barnett checked city hall about marriage regulations. His bride-to-be was of course Jana. However, nothing came out of it, and they were kaput once again by September 1957. In November 1957 dated comic Phil Foster, of the “Halavah Hilarities” cast. She claimed it was an “An old friendship.”, and truly, it didn’t last. By December of that year she was back again with Jackie Barnett, and there were again rumors of an impending marriage. But oh my, to everybody’s eternal regret Jana and Jackie broke up! (NOT). And this time, it was for good. But, Jana was in no shortage of male company. She was singing in Chicago back then, and the wolves-about-town lined up with mistletoe to greet Jana after every Camellia House performance. Jana took up with her old beau Jim Kimberly, and he then introduced her to .his close friend, socialite Freddie Wacker. Frederick G. Wacker Jr., musician, sportsman, and industrialist, left the ranks of Chicago’s most eligible bachelors yesterday when he took Miss Ursula Comandatore as his bride in New York City. The ceremony took place at 5 p. -m. in the Madison Avenue Presbyterian church, with a reception in Hampshire House. Mr. Wacker, son of Mrs. Wacker of Lake Forest and the late Mr. Wacker, is a grandson of the late Charles H. Wacker who headed the Chicago Plan commission for 19 years and for whom Wacker drive is named. The bride is known professionally as Jana Mason and was singing in the Drake hotel when she and Mr. Wacker met a few months ago. Her parents are Mr. and Mrs. Joseph Commandatore of Jersey City, N. J. For the wedding, the bride wore a white lace gown and white pillbox to which a net veil was attached. She carried white orchids. 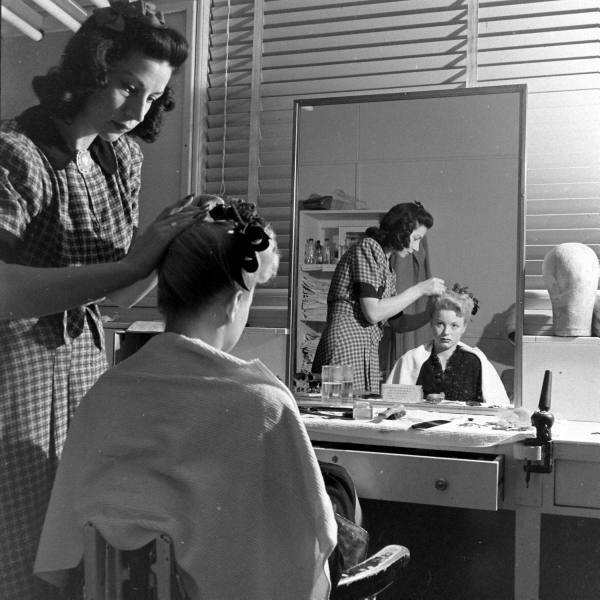 Her only attendant was her sister, Miss Dolores Commandatore. Charles Wacker II was his brother’s best man. After wedding trip to Europe Mr. Wacker and his bride will live in his Lake Shore drive apartment. The Wackers had three children: Frederick Wacker, III (born on January 5, 1960), Wendy, born on August 27, 1961, and Joseph, born in 1963. Like many ladies whom I profiled on this site, Jana was a victim of a carefully planned burglary in 1965. There was a long and painful list of valuables taken, including several diamond rings and bracelets, two fur coats, and a fur stole. Freddie Wacker, the social register’s only professional drummer, flew to Montreal to bring his singing wife, Jana Mason, home from her short but smash engagement at the Queen Elizabeth hotel up there. Freddie reportedly wanted no publicity in Chicago on the deal and isn’t overjoyed at talented Jana’s return to the night clubs. She retired in the 1980s from all forms of performing and lived quietly with her family. Jana’s husband, Freddie Wacker, died on August 18, 1998, at the age of 80. After his death, Jana divided her time between Lake Bluff, Illinois and Indian Wells, California, where her daughter Wendy lived. 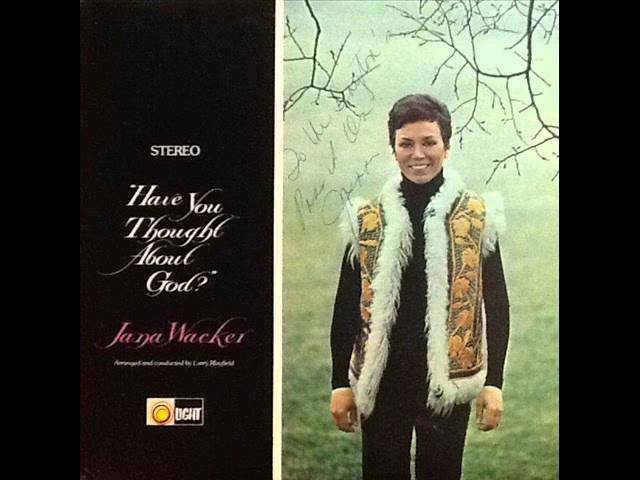 Jana Mason Wacker died on August 22, 2013, in Illinois. Jana’s son, Joseph, died in 2014.